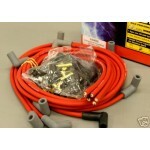 UNIVERSAL IGNITION WIRE SET. 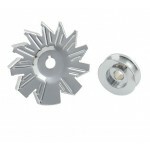 SUITS FORD GM CHEVY MOPAR IN RED OR BLUE 90DEGREE PLUG ENDS ..
ALTERNATOR PULLEY AND FAN CHEVY FORD HOT ROD - CHROME "SPECIAL"
~THEY DON'T COME ANY NICER NOR CHEAPER THAN THIS~ "MACHINED CHROME ALTER..
UNIVERSAL IGNITION WIRE SET. 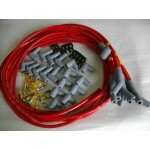 SUITS FORD GM CHEVY MOPAR IN RED OR BLUE STRAIGHT PLUG ENDS .. 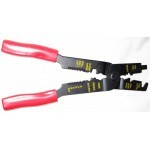 DISTRIBUTOR CAP AND IGNITION WIRE CRIMPING TOOL Wire cutter, terminal crimper & wire stri..
ALTERNATOR WIRING PIGTAIL This is a new Genuine Pro-Race Alternator Internal Regulator Socket.. 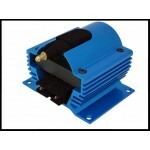 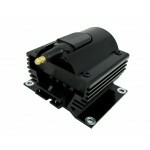 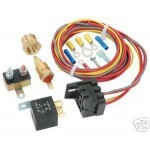 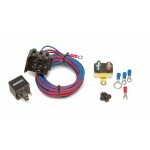 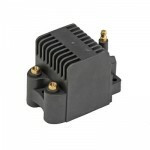 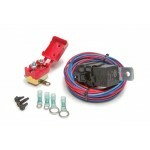 COMPLETE FAN SENSOR AND RELAY KIT This is a new Genuine Pro-Race Relay and Sensor ..
UNIVERSAL IGNITION WIRE SET. 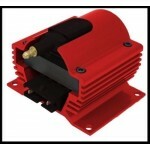 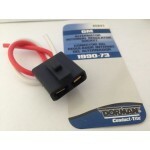 SUITS FORD GM CHEVY MOPAR IN RED, BLACK OR BLUE 135DEGREE PLUG E..